Special tasks is what Commercial Specialty Tires (CST) are made for: Continental’s business segment develops, produces and distributes industrial tires for forklifts, agricultural tires for tractors and harvester, OTR tires for port and earthmoving vehicles – or basically all machinery that are driven where the road ends. 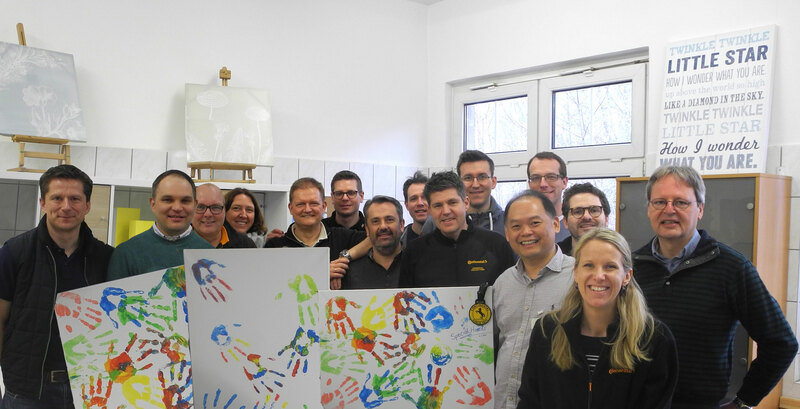 Instead of doing a normal team building event, the team visited a children’s home where they renovated an old kitchen and turned it into a playroom. Within a day, the formerly sterile and cold room was turned into a colourful place where the children can play, be creative, do arts and crafts. “Seeing the sparkling eyes of the kids was worth all the effort. I thank the entire team for their support and the good work – and I hope to see many more such projects in the future”, concluded Straten.